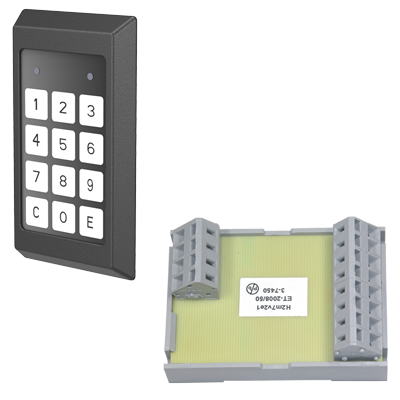 Two handles or latches can be connected to the electronical keypad locking system. By entering a correct PIN code the respective lock will open. Alternatively both locks can be released simultaneously. The time of release can be programmed.